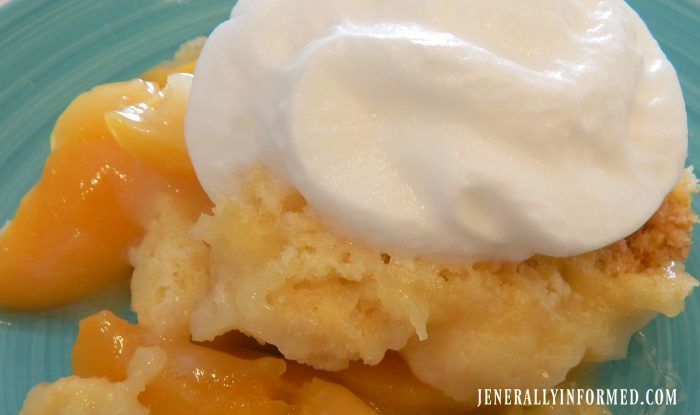 With one simple trick, this perfect peach cobbler recipe can be made in your home or over a campfire. Easy, delicious, and fantastic for busy summers! The summer heat made our 1.5-mile hike feel more like 15. Sweat dripped down the back of my shirt as I moaned and complained about having to walk out in the woods in such sweltering humidity. Then we turned the corner. There we saw a gorgeous waterfall gushing from the side of the hill. To my 12-year-old eyes, it was one of the most beautiful things on the planet as the water rushed over the rocks and down the river. And there, my friends, is the perfect example of why I’m torn about the idea of camping with my family. It always sounds like a good idea, doesn’t it? Who wouldn’t want to get out in nature and surround themselves with its beauty? But then I remember the reality of camping in the mid-Atlantic. By the time the nights are warm enough to take the kids camping, the days are humid, sticky, and downright miserable. But what about the memories and all those delicious-sounding camping recipes? Something in me just longs to sit around a campfire somewhere deep in the woods, enjoying slightly singed food and singing songs with my kids. 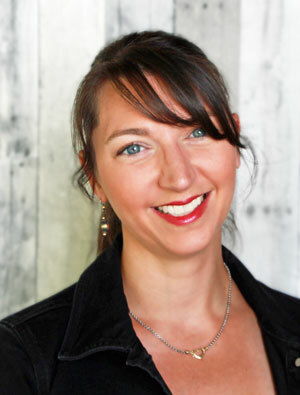 Thank goodness my Spectacular Summer co-host, Jen, from JENerally Informed is sharing an incredible tip with you today. She’s figured out a recipe for peach cobbler that can be made at home or at a campsite. Plus, it takes only a few ingredients, which is critical on days when you’d rather be out doing something than stuck cleaning dishes. Make it at home, make it camping, make it in your backyard! It really is the perfect peach cobbler for busy summers with the family. In fact, Jen’s recipe makes me feel better about the thought of skipping real camping altogether for a camping party instead. Though, maybe someday I can take my kids on a miserably hot and humid summer hike, just to make up for it that night with a pan of this perfect peach cobbler made right there in our campfire. Do you have any childhood camping memories? What was your favorite food to eat while camping? I am a Latina, so give me a good taco or some rice pudding and the world was about a perfect a place as it could be. Actually the same still holds true today. Tacos are pretty much the way to my heart. Each of my Spectacular Summer co-hosts is sharing a little bit more about Tammy on their blogs, too. So don’t forget to hop around and see what else she has to say. 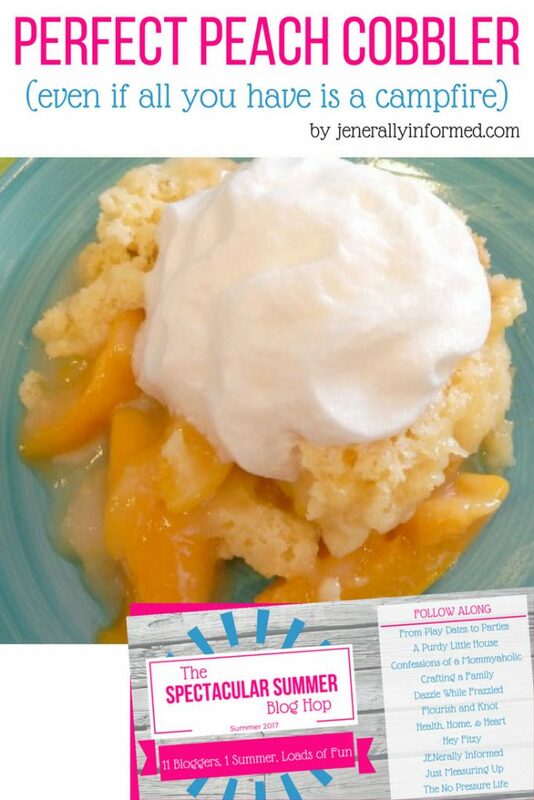 Click here to find out how this perfect peach cobbler can be made anywhere this summer. Thanks for sharing this recipe and getting all of us together this summer my friend! This is so fun! !